Cotton tights with lycra. Inspired by the stocking models of the 18th and early 19th centuries. New Antipress design. Greater dimension in upper area and anti-pressure fist. 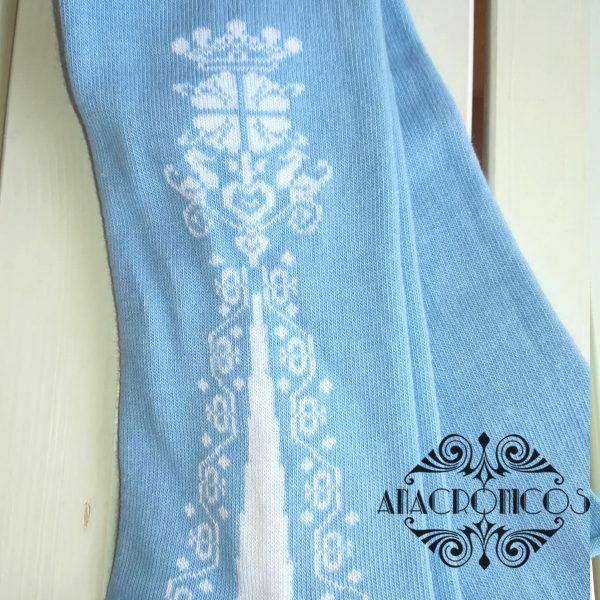 Blue sky long tights, with white crown drawing, available in size M (spanish 37/42). 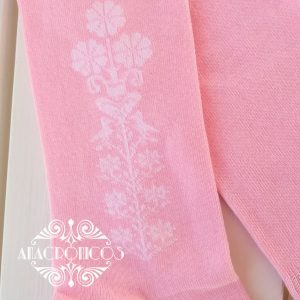 Long cotton knit sock with lycra. 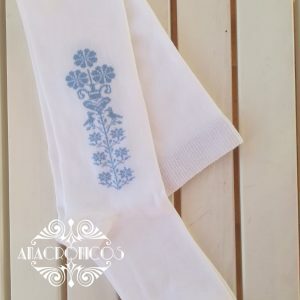 Inspired by historical examples, it combines the fabric of a modern sock with the classic drawings of the upper class of the eighteenth and early nineteenth centuries. 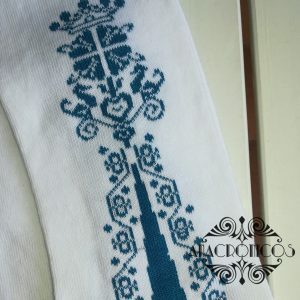 It is a mechanical sock, making it extremely comfortable. It has no seams, nor its point is stuck in the sole of the foot. And now also! IMPROVED DESIGN. Because we like you to like it and, seriously, we listen to your advice and opinions, in the new design we have eliminated the rubber grip by changing it for an anti-compression, and we have given more slack in the upper part to make it more comfortable. 78% Cotton, 2% Polyamide, 15% Lycra. Elastic 5%. Anti-pressure fist and larger dimension in the upper area. 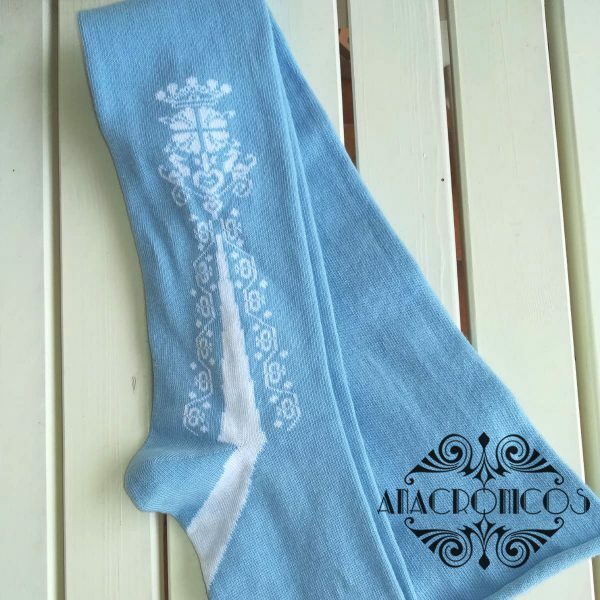 M Size – Adjustable from spanish 37/38 to 41/42 (EU).